The entire team at the Novotel Valladolid hotel welcomes you. We wish you a pleasant stay at the hotel and in the city. 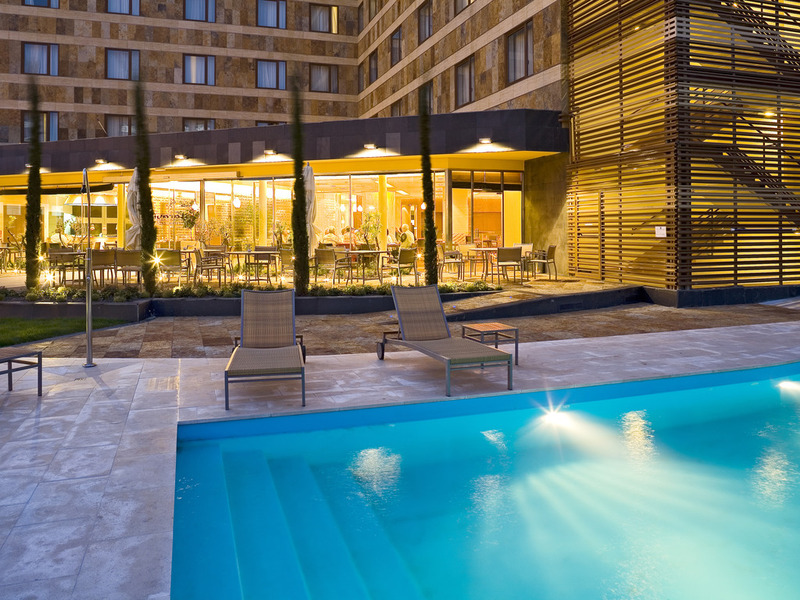 Whether for business or a getaway, the Novotel Valladolid hotel suits any occasion. Visit the science museum or the Pisuerga River, both just a short walk away. If you're traveling for work, we have five meeting rooms with custom equipment and WIFI. If you're traveling with family, enjoy our solarium, childcare service and outdoor pool. Our restaurant serves Mediterranean cuisine and dishes are prepared before your very eyes. A great culinary experience throughout your stay. Escape to Valladolid, a tranquil and welcoming city bursting with culture, including the cathedral and numerous parks, and cuisine. Did you know that it's the tapas capital? To relax, book your Novotel hotel now, adapted for your needs. Enjoy the new Novotel restaurant concept in Spain. Show kitchen, pleasant atmosphere, traditional Mediterranean dishes prepared with fresh and healthy ingredients. Alltid lika trevligt att bo på Novotel i Vslladolid. Välkomnande för oss som reser med hund. Trevlig personal, god mat, bra standard. Garage i källaren. Har bott här fyra gånger och alltid varit nöjd. Fräscha rum. Mycket trevlig service. God mat.